EFSA and the German Federal Institute for Risk Assessment (BfR) are jointly holding an International Conference on Uncertainty in Risk Analysis, subheaded “Challenges and Advances in Assessing, Managing and Communicating Uncertainty”, in Berlin on 20-22 February 2019. The event brings together internationally recognised leaders in theoretical and applied uncertainty analysis with a focus on the areas of food safety, environmental health, occupational health, animal health and plant health. The conference will be a forum for discussing the science behind uncertainty analysis and showcase best practices in conducting and communicating uncertainty analysis as well as for addressing uncertainty in decision making. Networking and sharing experience at the conference is anticipated to enhance the mutual understanding and interaction of partners in risk analysis and support and enhance the practice of uncertainty analysis. The conference is a two-day event with preconference workshops and will be composed of invited and submitted talks, poster sessions and interactive sessions. Registration for the conference is closed due to capacity limitation. Abstracts for posters can be submitted online until 28 January, 2019. This is the preliminary conference programme subject to changes. Please note that the draft plan allocates equal time slots (20 min each) to both invited and submitted papers presented in the same session. The final programme will be decided by the scientific committee. Karl Halvor Teigen is Professor Emeritus at the University of Oslo and Adjunct Research Scientist at Simula Research Laboratory. After graduating in psychology from the University of Oslo, he held various academic positions in psychology at the University of Bergen. From 1991 he was professor in cognitive psychology at the University of Tromsø and 2001-2011 professor in general psychology at the University of Oslo. He holds a honorary doctorate from the University of Bergen, and was former president of the European Association of Decision Making. He is principal investigator of a project “Uncertainty communication and climate change”, funded by the Norwegian Research Council, 2014-2018. His main research interests lie within social cognition (counterfactual thinking), judgment and decision making (framing, verbal expressions of uncertainty, probability judgments, and confidence intervals), and the history of psychology. Zora Kovacic is a Postdoctoral Research Fellow at the Centre for the Study of the Sciences and the Humanities (SVT), University of Bergen. She studies the challenges of uncertainty and complexity that emerge when scientific knowledge is used in policy-making. Her work builds on the interdisciplinary subfield of science and technology studies, philosophy of science and innovation studies, associated with post-normal science. In her research, she analyses how quantitative evidence and uncertainty are mobilised in environmental and development policies. 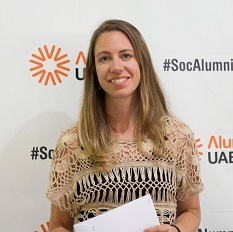 Zora holds a PhD from the Institute of Environmental Science and Technology, Autonomous University of Barcelona, on the use of complexity theory in the assessment of science for policy, and she has previously worked at the Centre for Complex Systems in Transition, Stellenbosch University, and at the Institute of Environmental Science and Technology, Autonomous University of Barcelona. 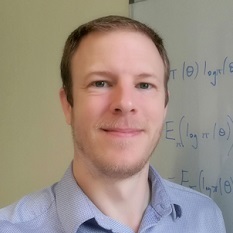 John Paul Gosling is associate professor of statistics and director of research and innovation for the School of Mathematics at the University of Leeds. He has been working on the quantification of uncertainty in toxicology for the past ten years focusing on bringing mathematical models and in vitro data into chemical risk assessment. 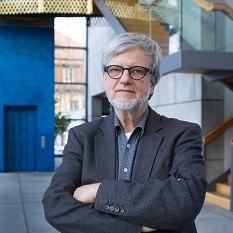 He completed a PhD in Bayesian statistics at the University of Sheffield that focused on methods of quantifying expert knowledge and then spent three years researching methods to quantify uncertainty in computer simulations. Prior to his current post, he had three years working as a civil-service risk analyst at the UK’s Food and Environment Research Agency. Michael Siegrist is a Professor for Consumer Behavior at the Institute for Environmental Decisions (IED), ETH Zurich, Switzerland. He studied psychology, economics and mass communication at the University of Zurich. He worked as a research assistant at the Psychology Department of the University of Zurich. In 1994 he wrote his dissertation at the University of Zurich. During 1997-1998 he worked as a Project Manager at the Swiss Association of Milk Producers, Department of Marketing Research, and during 1998-2000 he was a visiting researcher at Western Washington University, WA, USA. Professor Siegrist’s research focuses on risk perception and risk communication, on acceptance of new technologies, and consumer behavior in the food domain. He has published more than 200 peer reviewed articles. 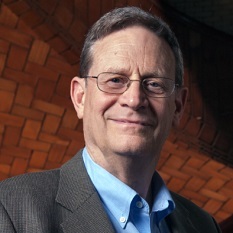 He has received various awards for his research. Terje Aven, Ph.D., is Professor in Risk Analysis and Risk Management at the University of Stavanger, Norway. He is also a Principal Researcher at the International Research Institute of Stavanger (IRIS). Previously he was also adjunct Professor in Risk Analysis at the University of Oslo and the Norwegian University of Science and Technology. He has many years of experience as a risk analyst and consultant in industry. 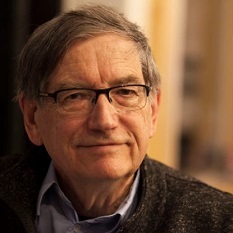 He is the author of many books and papers in the fields of risk and uncertainty, covering both fundamental issues as well as practical analysis methods. 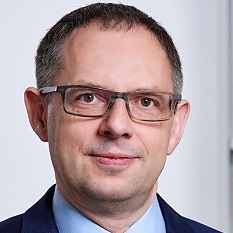 He served as the President of the European Safety and Reliability Association (ESRA) in the period 2014-2018 (June), and he is the current President of Society for Risk Analysis worldwide. He is Editor-in-Chief of the Journal of Risk and Reliability and Associate editor for several journals including Risk Analysis. Dr. M. Granger Morgan is the Hamerschlag University Professor of Engineering at Carnegie Mellon University (www.epp.cmu.edu) where he holds appointments in three academic units: the Department of Engineering and Public Policy (for which he was the founding Department Head); the Department of Electrical and Computer Engineering; and the H. John Heinz III College. His research addresses problems in science, technology, and public policy with a particular focus on energy, environmental systems, climate change, risk analysis and the characterization and treatment of uncertainty. At Carnegie Mellon he co-directs (with Inês Azevedo) the Center for Climate and Energy Decision Making (www.cedmcenter.org). He also co-directs (with Jay Apt) the CMU Electricity industry Center (www.cmu.edu/electricity). Morgan is a Member of the National Academy of Sciences and of the American Academy of Arts and Sciences. He is a Fellow of the AAAS, the IEEE, and the SRA. 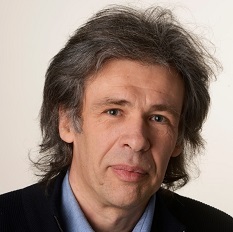 Ortwin Renn is scientific director at the International Institute for Advanced Sustainability Studies (IASS) in Potsdam (Germany) and professor for environmental sociology and technology assessment at the University and Stuttgart. He also directs the non-profit company DIALOGIK, a research institute for the investigation of communication and participation processes. Renn is Adjunct Professor for “Integrated Risk Analysis” at Stavanger University (Norway), Honorary Professor at the Technical University Munich and Affiliate Professor for “Risk Governance” at Beijing Normal University. His research interests include risk governance (analysis perception, communication), stakeholder and public involvement in environmental decision making, transformation processes in economics, politics and society and sustainable development. Renn has published more than 30 monographs and over 250 peer reviewed articles. His most prominent English publication is the book “Risk Governance. Coping with Uncertainty in a Complex World (London: Earthscan 2008).